What are people's experiences with hydro dip for guns? Do you like the product? How does it hold up to use in the woods? How well it holds up is all about the prep work and the exterior coat. If you half @ss the prep, the film won't bond well, and it'll rub off in days or weeks. If your applicator does a proper prep job and they run a proper clearcoat on top, it can be as close to "permanent" as it can get. I built my own hydrographics shop several years ago - don't waste your time - pay someone qualified to do it for you, you'll be money ahead, and have better quality finished products. I had my rifle done a year and a half ago. 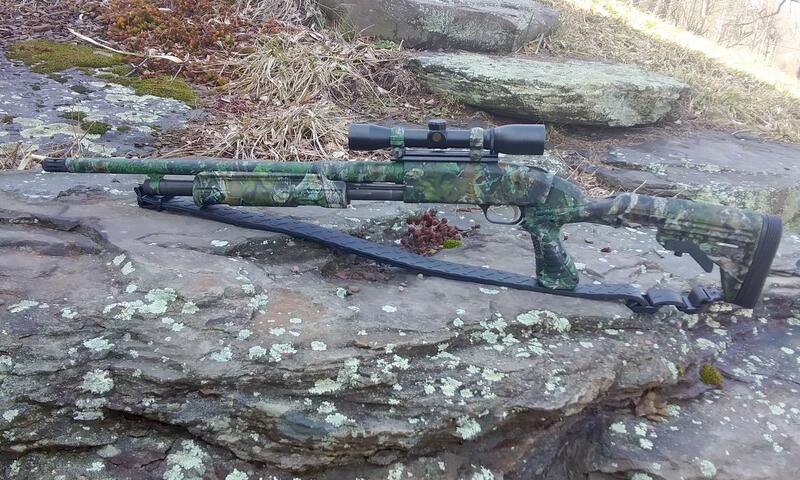 I have only used it one rifle season, so can't comment long term. It looks great and hasn't changed yet. I paid $230 for my .308 pump model 7600 with scope rings, clip. I left my scope matte black. I will be getting 2 shotguns done soon. Got my Mossberg 500 back yesterday and put back together. I am really impressed with the pattern (spring mimicry) and the finish (feels very "tough"). Just under $200 (bit extra for tactical stock and rings).